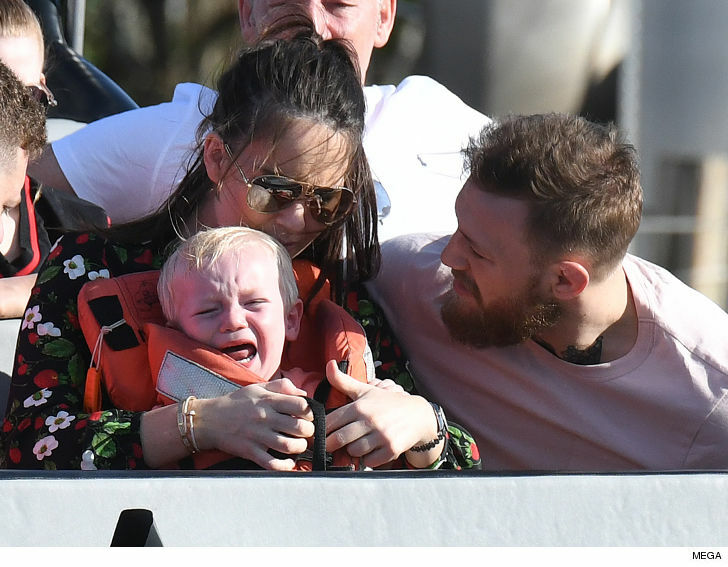 Conor McGregor Crying Infant in Blazing Hot Heat … Beats Fighting Khabib!!! This should silence the Conor McGregor haters riding him for taking ‘L’ after ‘L’ … ’cause he just won, arguably, his toughest fight yet — a crying kid in the freakin’ Everglades! Conor and his GF, Dee Devlin, took Conor Jr. out for a swamp tour Saturday on those cool airboats. Probably seemed like a great idea for a family outing, but looks like the 1-year-old tyke wasn’t having it. 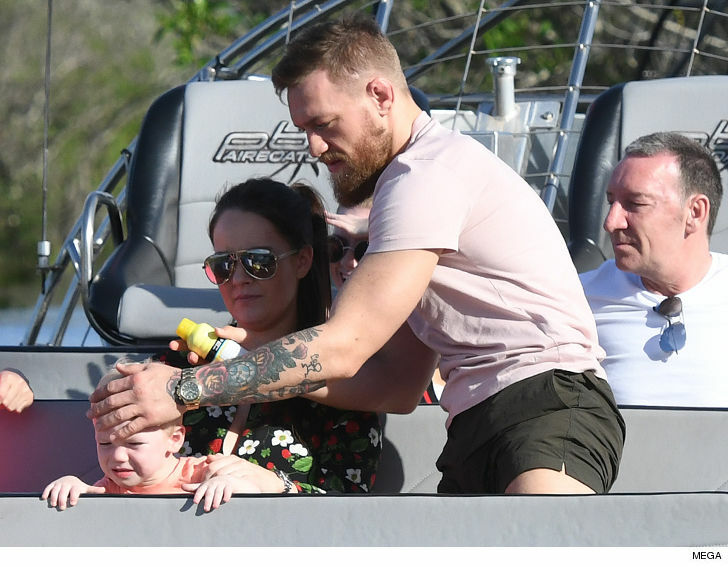 Conor’s kid burst into tears over something — alligator, hunger or the blazing heat and humidity — but rather than pack it in for the day, the Notorious One sprung into daddy mode. Little sunscreen, pat on the head from Dad and Junior was good to go. It’s another ‘W’ for Conor, fresh off clearing up his criminal case in NYC. TMZ Sports broke the story … Conor completed his community service by doing manual labor at 2 Brooklyn churches. Maybe he learned a little patience too. In any event, McGregor’s in a great mood. He joked he was “hunting gators today” before heading out on the bayou … and got in a sparring session with his kid.